Tracy & Draper are Fun In The Sun Weddings’ newest newlyweds! 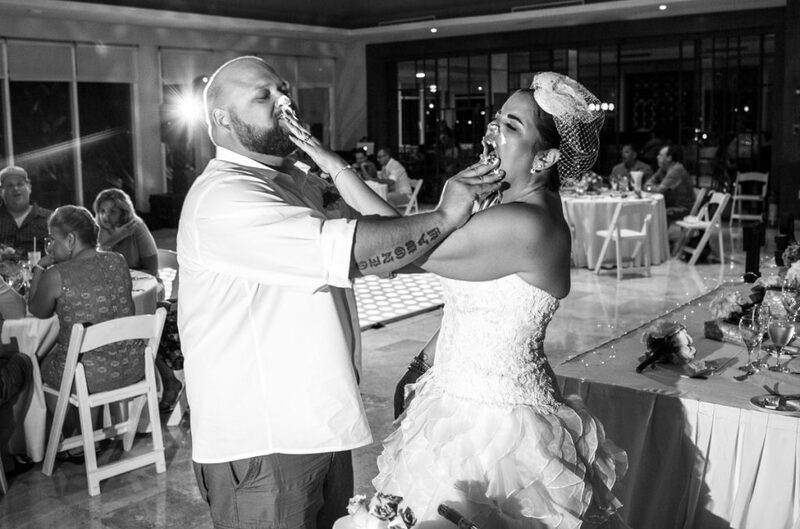 Their beach wedding in the Riviera Maya was the best day of their lives….next to the birth of their son. Tracy and Draper met on eHarmony. He was her second match, and they took things slowly as friends for awhile, until Tracy decided she had had enough of that! They started officially dating and the rest is history. Fast forward to engagement time. Tracy was 8 months pregnant with their son, and they were renovating their home. So one day Draper announced that after he finished some painting she could return in the evening. She walked into the house and saw painted across a big wall was his proposal – Will You Marry Me? – with a checkbox for yes or no. The bride and groom starting planning a hometown wedding in Manitoba, Canada. Everything was booked, but then they realized they weren’t happy! So they canceled everything and set to planning a destination wedding in Riviera Maya instead. They saw themselves getting married on the beach somewhere relaxed, hot and beautiful, and the Riviera Maya is their favorite vacation spot. The choice was obvious. Tracy wanted a vintage-chic beach wedding. 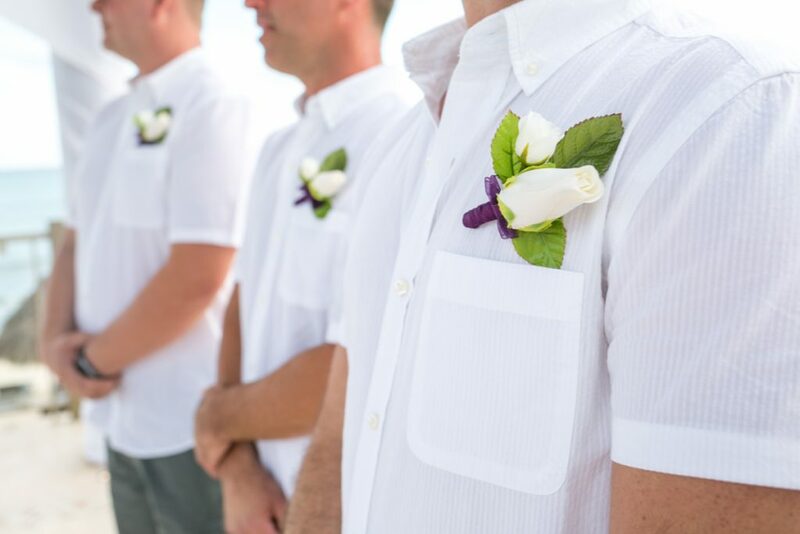 She used a color palette of purple, gold, and grey, and with the help of her Now Jade wedding coordinator, Jacqueline, everything turned out better than expected. The bride and groom agree that their favorite moment was seeing each other for the first time as Tracy walked down the aisle. The bride’s advice for the brides-to-be out there? 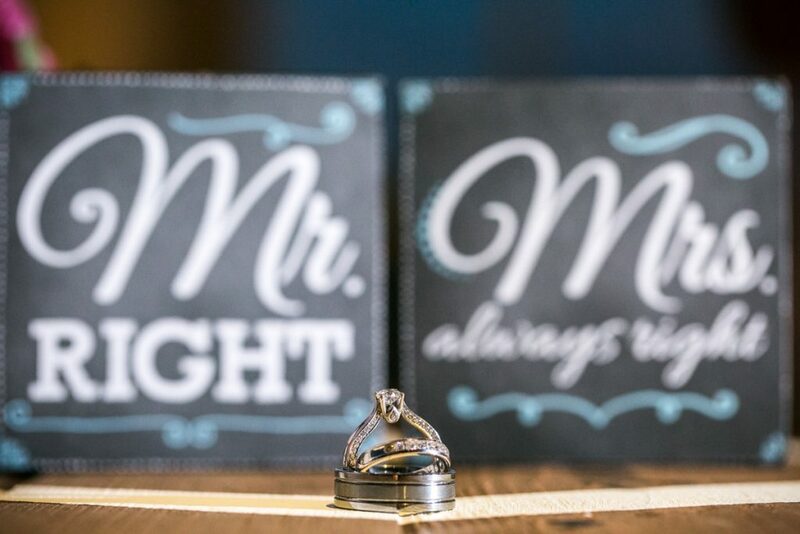 Find wedding groups on Facebook and learn! And hire Fun In the Sun Weddings for photography! Awwww, shucks. Thanks Tracy! It’s has been such a pleasure sharing this awesome moment in your lives. We wish you, Draper and Nixon every happiness in this new chapter together as a family. And we hope to see you back our way very soon! Congratulations! Hire Fun In the Sun Weddings for photography!